Punta Cana is situated on the easternmost tip of the Dominican Republic and is known for its 32 kilometers of beaches. However, there are many other fun and interesting activities to add to your vacation checklist. Here is a lowdown of some of the best things to do in this colorful city. Originally developed as a town for resort workers, the town of Bávaro has become a destination for tourists and locals alike for its 10 kilometers of unspoiled seashore. While it can be crowded, Bávaro beach is definitely worth a visit due to the large variety of amenities located on or near the sands, and its close proximity to Punta Cana itself. (If you’re not staying in Bávaro itself, you likely won’t be too far away.) When you’re not frolicking in the waves or stretching out on the sand, head over to one of the nearby bars and enjoy a drink in the shade. 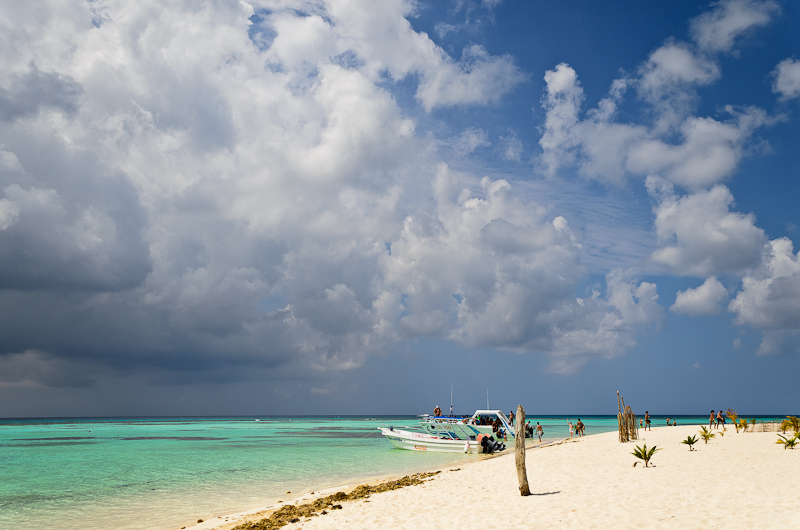 Located just off the coast of Punta Cana, Isla Saona is famous for its incredibly untouched beaches. If Bávaro is too touristy, this is the place to go. The entire island is a government-protected nature reserve, so there isn’t an imposing high-rise or kitschy gift shop in site, only pure white-sand beaches and swaying palm trees. Getting to Isla Saona for the day is not difficult. In fact, many resorts offer their guests tour packages that include a ferry and a meal to take along. Tours are sometimes the best way to see a lot of a place and culture in a short amount of time. 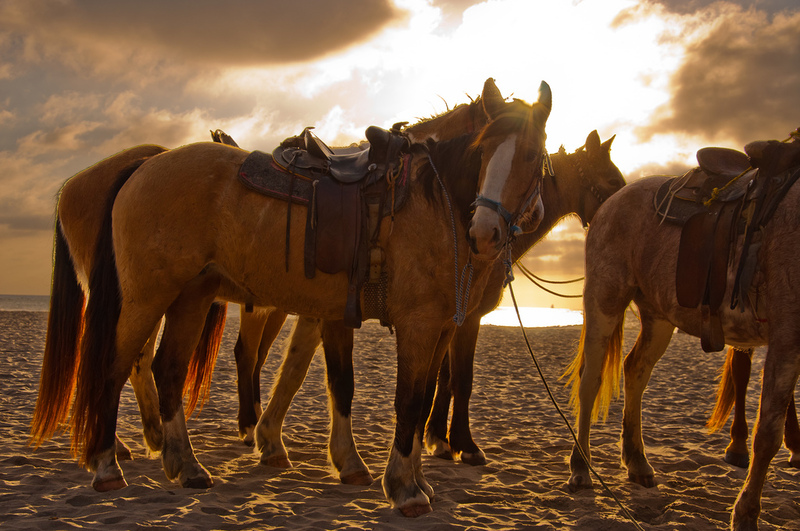 Luckily, HorsePlay Tours offer visitors to Punta Cana the content of several different tours all conveniently packaged into one. In one day, participants will receive a cultural tour of local villages and learn about Dominican customs, history and traditions, go zip lining, horseback riding, sample locally produced coffee and chocolate, and finally, sit down to an authentic Dominican meal. In order to experience some of the best snorkeling in Punta Cana, considering checking out a catamaran tour that takes participants directly to each famous dive site. Hispaniola Aquatic Tours offers private and semi-private four-hour excursions on one of their three catamarans that include drinks, a meal, transport to and from your hotel, snorkeling equipment and professional photos to document the experience. Perhaps the best way to experience the beauty of Punta Cana is to explore its natural landscapes. One of the most spectacular places to explore is the Hoyo Azul (Blue Hole), which is a natural sinkhole filled with crystal-clear water. Two different tours, each lead by experienced guides, are the best ways to see it. Hoyo Azul Cave Explorer take participants on a hike through the Dominican wilderness, which ends with a relaxing dip in the Hoyo Azul waters, while Hoyo Azul Zip Line sends participants on a series of adrenaline-fuelled flights over the Cap Cana forest before ending with a swim in Hoyo Azul. For an opportunity to explore an untouched portion of the Dominican Republic, head over to Indigenous Eyes Ecological Park, a private protected nature reserve maintained by the PUNTACANA Ecological Foundation. The park is open from dawn until dusk for guests staying at the nearby PUNTACANA Resort and Club, as well as other members of the PUNTACANA community. Activities include cultural exhibits, a petting zoo, a sugarcane exhibit, five different swimming holes and an iguana habitat. Several ‘Ecological Excursions,’ such as a Segway Eco Tour and Horseback Trail Ride, are also available upon reservation. For those who desire an adrenaline rush during their Caribbean vacation, look no further than Canopy Adventures Zip Line Tours. Taking place in the forest surrounding Punta Cana, the company’s half-day tours give participants an exhilarating thrill ride, while allowing them to take in the spectacular Dominican countryside from a completely unique angle. The ‘Canopy Adventure Tour’ sends participants flying from tree-to-tree on a zip line course that extends 4,300 feet. Canopy Adventure’s ‘Extreme Swing Adventure’ offers more variety. The zip-lines are longer, so you can play through the air, pulling a Superman position at over 40 miles per hour! With multiple locations all over the Caribbean and South America, ChocoMuseo seeks to educate tourists about the process of chocolate making in areas of the world where the sweet stuff is produced. In Punta Cana, ChocoMuseo is located on the same spot as Don Lucas’ Cigar Factory, in Bávaro. Activities include an exhibit on the history of chocolate making, a visit of the museum’s ‘bean to bar’ factory, samples of various chocolate products, a gift shop, and the opportunity to attend a chocolate making workshop. It’s all very hard work! Enjoying the full force of Hispanola’s windward Atlantic side, just across from the iconic surfing stretches on Puerto Rico, means that Punta Cana boasts some top-notch rollers, suited to a whole host of different surfing levels. Perhaps the most acclaimed surf school in the region is the Macao Surf Camp, which offers everything from beginner introduction lessons to straight-up board rental for the experts. A fully-fledged events and nightlife arena that’s like nowhere else on the island, Coco Bongo hosts up to 12 shows per night in the high season, ranging from dancing aerobatics to high-octane electro to world-class DJs and more. The famous club may have cut its teeth across the Caribbean in Cancun but this edition in Punta Cana boasts some of the headiest parties in the region. Expect oodles of cocktails to flow and dance floors to erupt at this one!